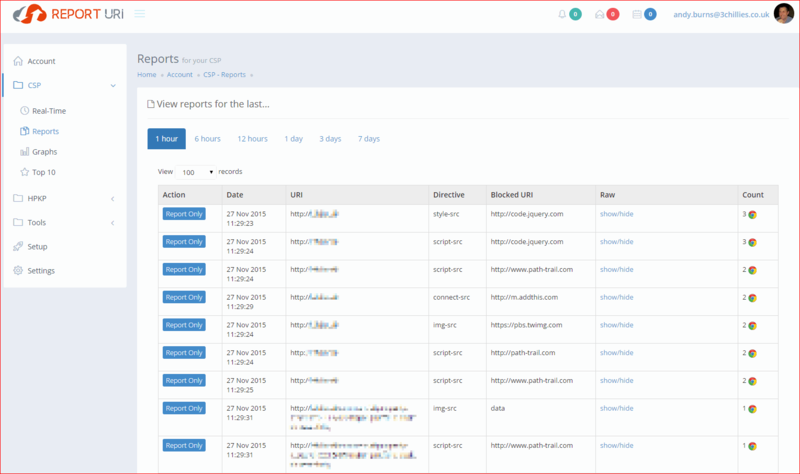 I’ve talked about how to how to remove HTTP Headers that you don’t need from IIS – but there are some that you probably will want. 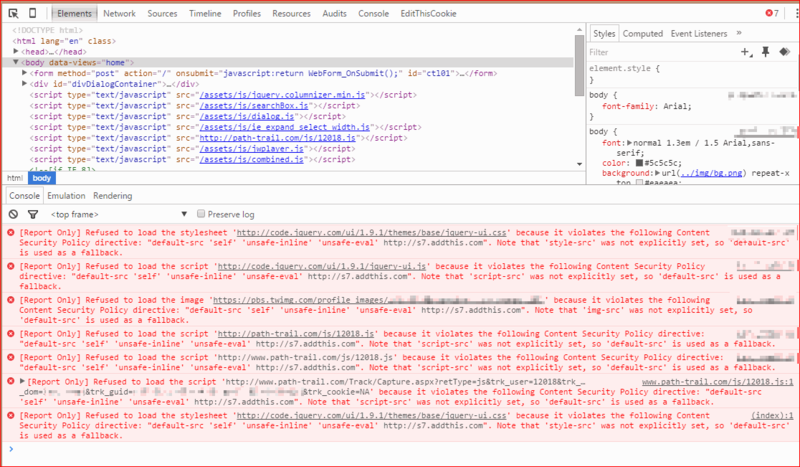 This particular post is about the Content Security Policy (CSP). I mean, imagine this – you’ve a large website containing hundreds or thousands of pages, built up over a number of years, by a number of developers or a number of companies. You simply don’t know how it all works – what scripts it uses, where they’re all loaded from, where the CSS comes from, if IFRAMES are used, and so on. You might be using plugged-in scripts that load other resources of their own that you don’t know about. If someone turned around and said that those should all now be whitelisted – what a CSP effectively is – well, that might cause some small amount of panic. Brilliant! So I can prioritise what I need to fix. I can see what unexpected stuff would break. This makes it possible to formulate a working policy. Set up a fairly tight policy in Content-Security-Policy-Report-Only mode. Let it run for a while with my site. Review the violations and, where necessary, alter the policy. Repeat 2-3 until I’m happy that I’m not getting any incorrect violations being logged. Wait to see if anything breaks or anyone panics. The authenticity of incoming reports can never be assured and their contents could well be maliciously crafted by an attacker themselves. Any of the URI values in the report may link to malicious content, and visiting a unique URI could divulge information about the admin that received the report. So check what you’re allowing – it’s mandatory. Oh, and what supports Content Security Policy v1.0? Well, this page should help.